Four divergent, equally-bold predictions for how the price of BTC will fare by the end of the year have dominated BTC-related news for the first two weeks of July. In this article we pause for a moment of introspection about the ultimate value of long-term price predictions and showcase their predictors for their future credibility, or lack thereof. The first half of the year was decidedly bearish in the world of bitcoin, but what lies for the second half? What will the price of bitcoin actually be at the end of 2018? Well, one thing we do know is that nobody knows for sure. If they did, they certainly wouldn’t need the media to echo their proclamations because they would simply invest everything they had into their certain knowledge and wait to reel in their immense profits. Simply put, short of traveling to the future, buying a price almanac and coming back to the present with it, there is no way to assuredly know what the future holds. Wall Street analysts make wild predictions about every tradeable commodity every single day of the week on the off chance that if they are right about something, they can forever hold it under their belts, reminding viewers and the media about the time that they were right. When it comes to bitcoin, a flood of personalities are constantly making predictions about its futures, and most of them are wrong. However, they can count on nobody remembering them when they are wrong and everybody remembering them if they were right. This is because the psyche of the investor focuses on what they want to hear, which is news and information that favors a gain in their investment of choice. Information contrary to an investor’s beliefs tends to fall to the wayside, never really permeating their thought processes. Basically, nobody wants to hear about news that is bad for their investments, believing their decision-making process was of sound enough mind in the first place to warrant disregard for any potentially money-saving critique. 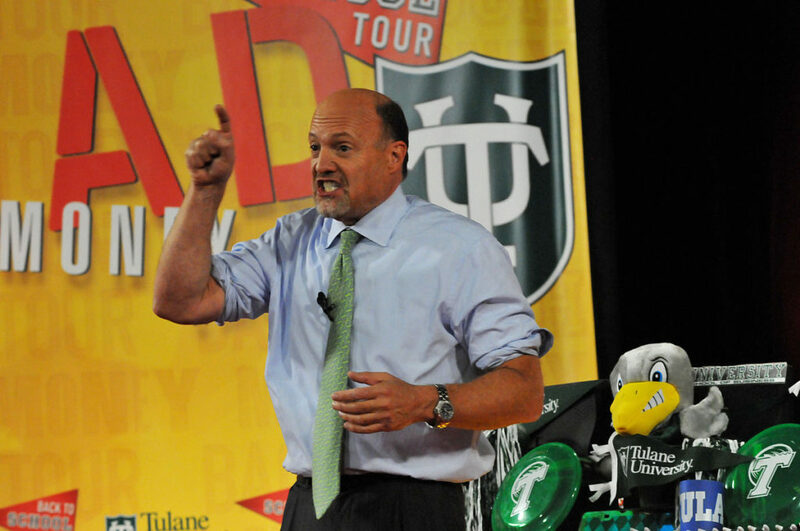 Take for example long-running CNBC star Jim Cramer, who has been the host of the ever-popular Mad Money since 2005. Cramer’s zany on-screen antics and frequently profitable stock recommendations over the years have gained him a cult-like status, despite the fact that his calls have been statistically demonstrated to be no more or less profitable than the average investor. What nobody remembers (except for maybe Jon Stewart of The Daily Show) is that Cramer was telling his viewers that mortgage lending giant Bear Stearns was “fine” just days before its request for a bail-out, which ultimately precipitated a stock market collapse and the beginnings of the Great Recession. What everybody does remember is Cramer’s comedic zeal, ebullient personality and occasional stock pick winner, which has helped keep his show on the air for 13 years, and one of the most popular to ever be hosted on CNBC. Stiglitz, the 75 year-old former Chief Economist of the World Bank is firm in his belief that central banks have yet to pass rigorous laws on cryptocurrency, an event he believes is inevitable and that will surely have a diminishing effect on prices. He states that the only reason why their action has been thus far delayed is because the cryptocurrency market is relatively small when compared to the mainstream economy. The Nobel Prize winning economics professor has never been a particular fan of bitcoin, telling Bloomberg back in January, “My feeling is when you regulate it so you couldn’t engage in money laundering and all these other (crimes), there will be no demand for bitcoin… By regulating the abuses, you are going to regulate it out of existence. 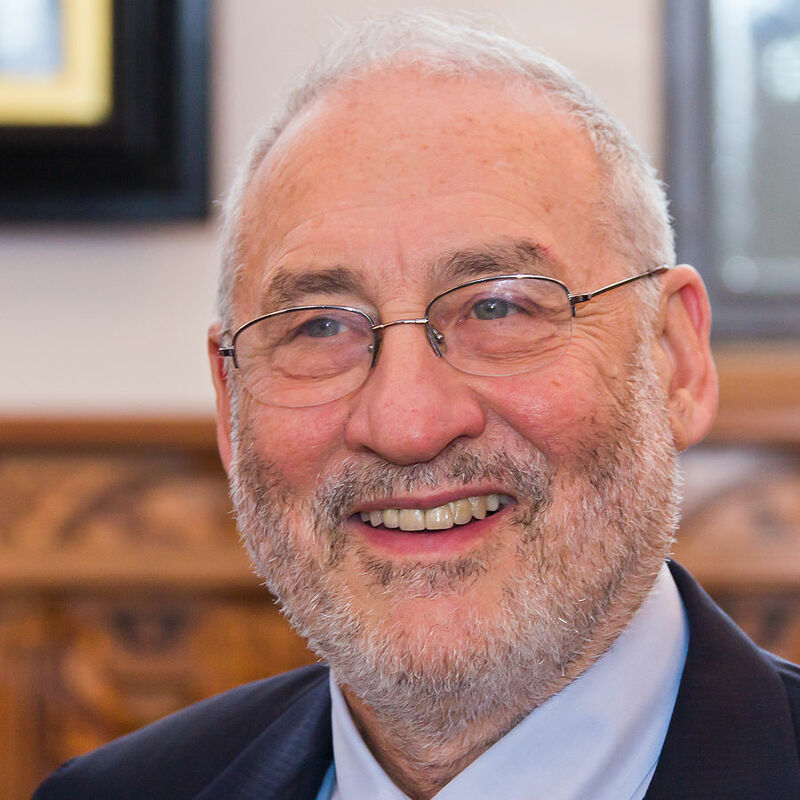 It exists because of the abuses.” Is Stiglitz out of touch with the reality of bitcoin? Only time will tell. However, his words were weighty enough to be deemed the cause of a dip in bitcoin prices earlier this week. Tom Lee is famously the only Wall Street analyst on CNBC to issue bitcoin price targets. In an interview on CNBC last week, Lee noted that bitcoin has historically traded at levels 2.5 times higher than its mining cost, which is roughly and average of $7,000 per coin. According to Lee, this figure will increase by $2,000 by the end of the year, which would put his target price for bitcoin at $22,500. He made his original call of $25,000 back in April and has stood firmly by it ever since. On bitcoin’s current price woes, Lee suggested that “it’s just a malaise. It also has to work off its parabolic move from last year.” Its worth noting that at the beginning of the year, Lee predicted bitcoin would be trading at $20,000 by now — a far over-optimistic expectation. If Lee is equally as wrong as he was with his last prediction as he is with his latest one, that means bitcoin could trade for around $7800 by the end of December, which is still a 23% gain from the price at which it currently trades. Founded in 2014, BitMex is a high-octane cryptocurrency exchange that boasts $1.62 billion in trades over a 24-hour period. 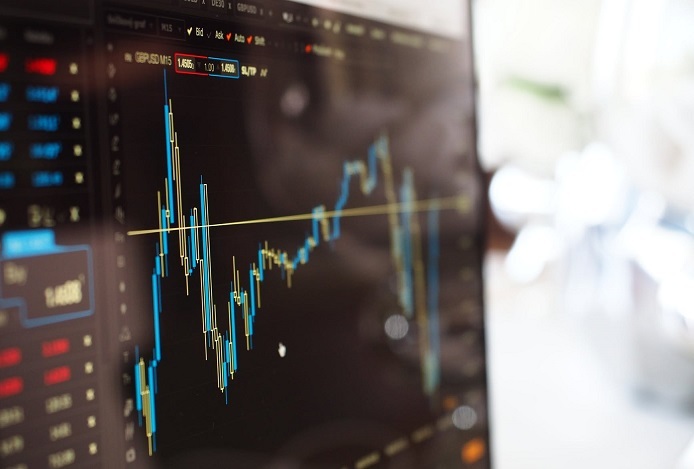 It offers high leverage trading products (up to 100x), and co-founder Arthur Hayes is himself a high-octane individual, garnering over 17,000 Twitter followers in the short 4 months that his account has been open. His 280-characters-or-less rants on the social media platform are entertaining, colorful and unabashed, frequently containing crypto-specific terms like “shitcoin.” Other than that, not much is known about the relative outsider and newcomer, though he did make an appearance on CNBC’s Fast Money earlier this month to make a bold proclamation that BTC would end the year at a staggering $50,000. Hayes’ prediction is based on the likelihood that the U.S. federal government will concede that bitcoin is a legitimate commodity over the course of the next 6 months, and as such it will be eligible to be included into an ETF. ETFs, or Exchange Traded Funds, are listed on major stock exchanges and allow Wall Street to invest in something indirectly, where its purchasers can hold shares backed by the value of a commodity, which bypasses the need for an investor having to hold a commodity themselves. The famous Winklevoss twins, longtime proponents of bitcoin, had their application for a bitcoin ETF rejected in March of 2017, and progress on its formation has been slow going ever since. When all is said and done, we will have to wait almost 6 more months before we truly know which of these 4 predictions is the closest to being right. While we of course personally believe in the value of cryptocurrency and its ability to transform the future of finance, its important to bear in mind that factors outside our control have the potential to make or break bitcoin, and that the fate of bitcoin remains ultimately undecided for the time being. One thing that we know for certain is that by the end of the year, the price of bitcoin will still equal exactly one bitcoin. Where do you see the price of bitcoin on December 31st, 2018? Feel free to leave us a comment below with your prediction. If you’re right, you can reference it and demonstrate to your friends and peers what a genius you are. If you’re wrong, well, nobody will remember it anyway, so what’s the harm in trying? The technicals show a return to $14000. If the ETF for CBOE is approvedin September, I expect it to blow past that to at least $30000 by year end, forming a somewhat mis-shaped “cup” chart. The “handle” will be the usual tax time selloff in Jan. & Feb. … back to $20000 before having a very bullish 2019. December 2019 prediction is $100,000 if adopted by ETFs and the SEC. Otherwise, we see a $3200 per coin price before recovering to $10,000 mid 2019. Either way, I expect 50% to 1600% returns by Dec 2019. A good time to get in is NOW.